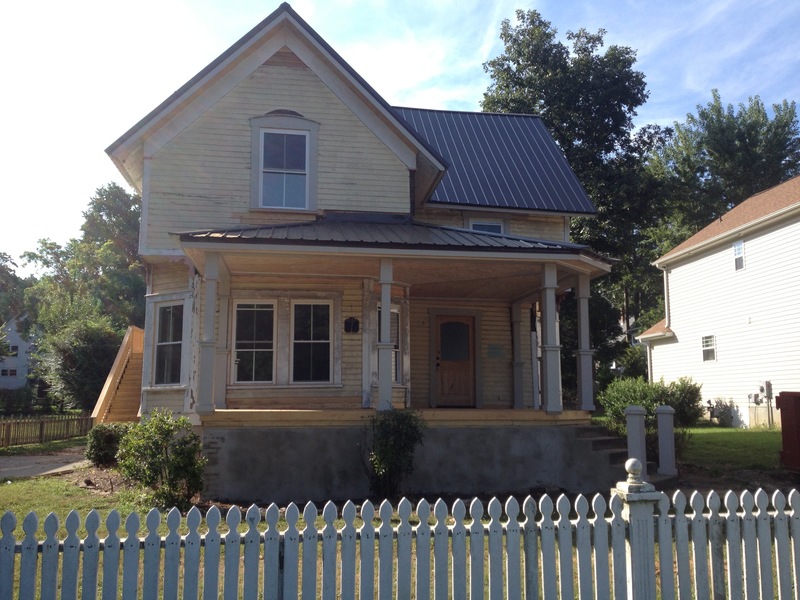 To review… the Grout Cottage is a Queen Anne built in 1895. 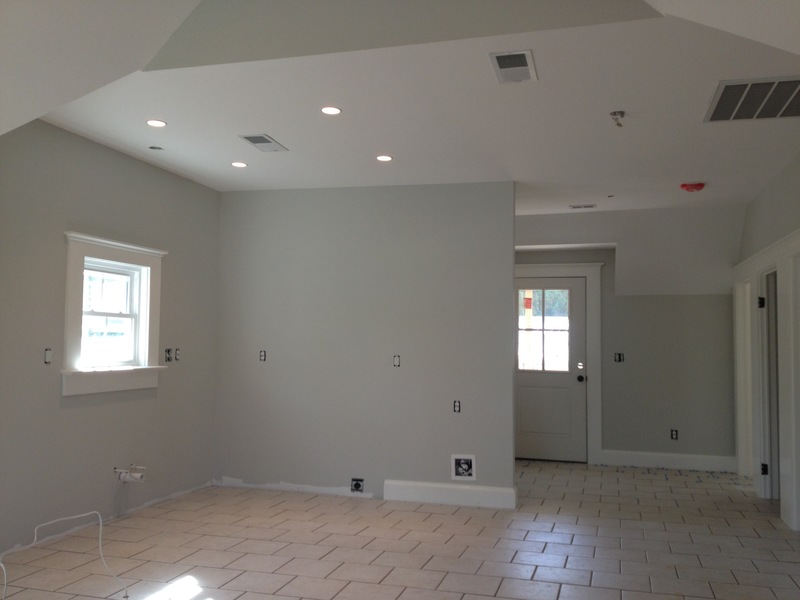 It is a duplex that we began remodeling in December 2012. Here’s the introduction post to the house. I thought you might like a little update on how the Grout Cottage is looking. We’re in the home stretch now. The columns are up and the porch is about half way complete. The foundation was repaired and re-coated by Howell Masonry. The old picket fence was finally mended. We should wrap the exterior work up this week. 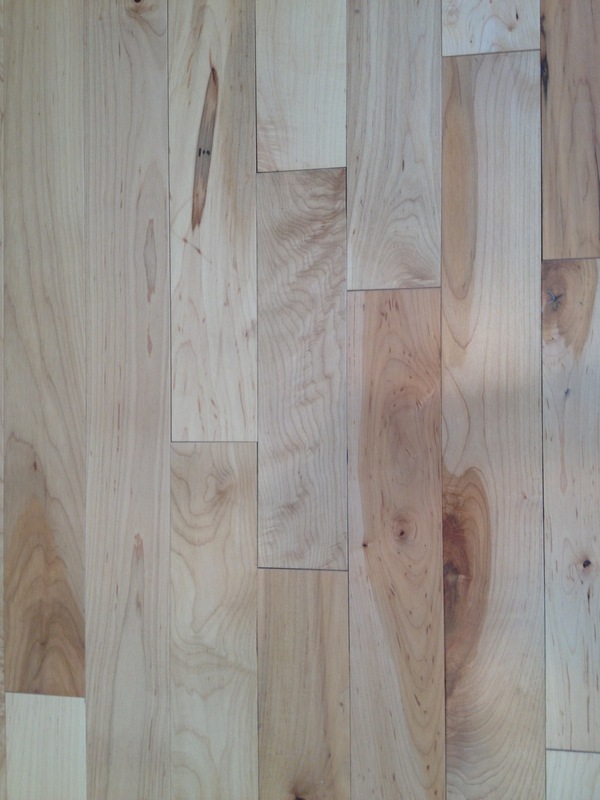 This is what the “character grade” maple floors look like down in the apartment. This is a phone pic but they look seriously good. This is a view back towards the kitchen area and front door. The floor tile is down but not grouted. Cabinets are going in today! 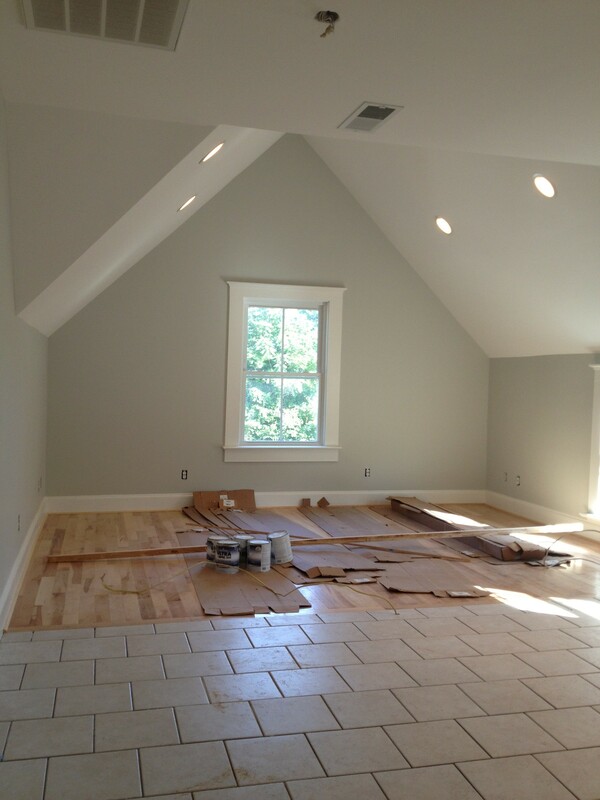 Moonshine is seriously a fantastic gray and you can see more of the maple flooring. It’s really looking great! The maple looks REALLY good. Is that Moonshine color a BM color?